Compatible with Storage Devices like Pen Drive, SD card, etc. Hard Drive Data Viewer brings out all items from hard drive and gets them imprinted on software. Hence, it helps the users in retrieving all data items i.e., images, audio files, documents, video, PowerPoint files, etc., from selected hard disk. The tool displays data in the same manner as the original one. Hard Disk Viewer is a complete package for viewing items from formatted drives. The wizard has the credibility to extract data from NTFS formatted hard drives. Once the work of the software like data extraction is done, it loads all retrieved data on the previously opened view pane. Hard Drive Viewer has an ability to recuperate permanently deleted data from hard disk. It doesn’t create any difference that whether how files are deleted or lost, the freeware fulfills its responsibility in every case. Deleted items get highlighted with red color so that users can recognize it. Hard Disk NTFS Viewer is the smart tool, which detects all the partitions of a PC on its own. It will be displaying each partition with all its related attributes. Users just need to launch the application on machine and then, software will instantly load all system partitions in front of them. 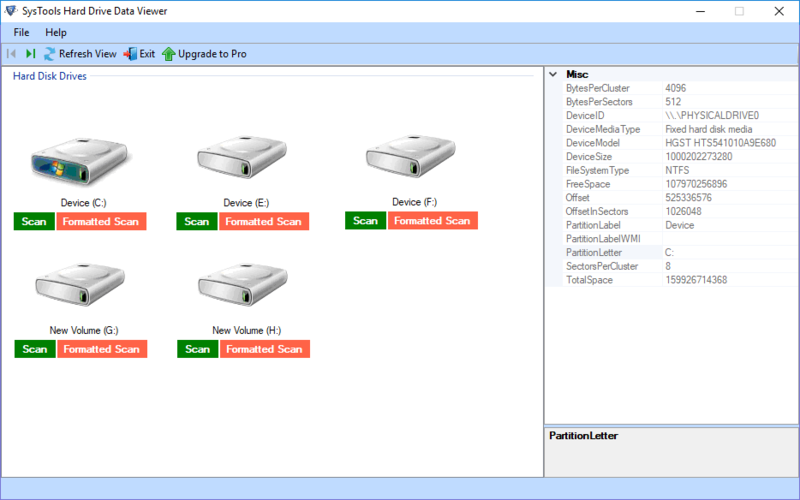 External Hard Drive Viewer recovers all items from internal and external storage devices. The external devices may be pen drive, hard disk, memory card, and so-on. In contrary to it, the free works comfortably with any hard drive size, file system, or partition. Hard Disk Viewer offers users to read GPT and MBR partition table on any Windows Operating System be it newer or older ones. In case the users are facing problems while opening Windows partition, they can use the free Hard Disk viewer for troubleshooting any issue. 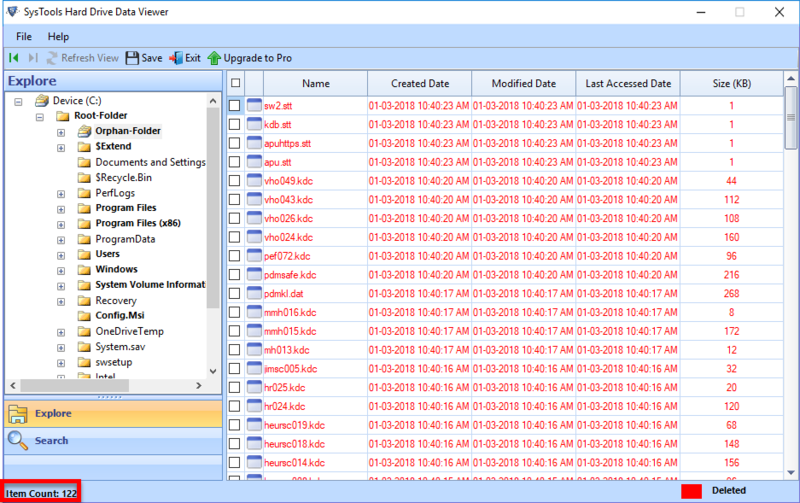 Demo version of Hard Drive Data Viewer software generate preview of entire recovered items. Is there any way to get preview of Hard Drive partitions using the Hard Drive Viewer software? Is it possible to view deleted data using the Hard Disk Viewer Software? Yes, the External Hard Drive Viewer wizard is able to preview the erased data from your device. Can I use the Hard Drive Viewer program in Linux or Mac Operating Systems? 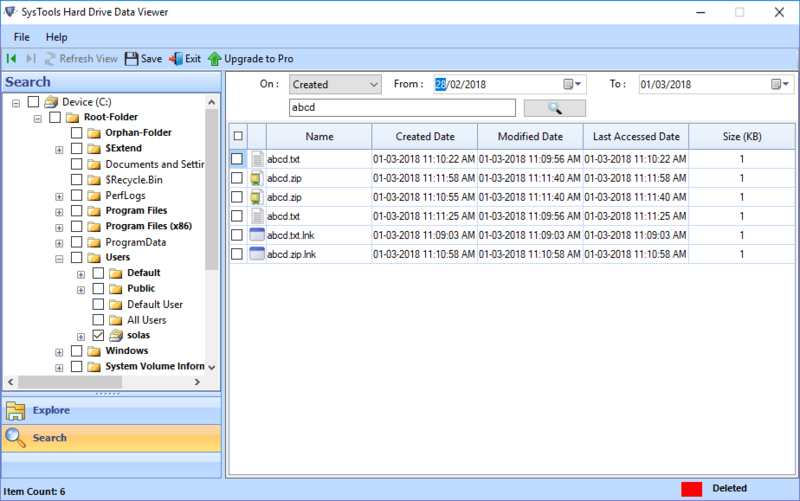 No, The Hard Drive Data Viewer wizard is compatible with Windows Operating Systems only but in near future, we can work on these Operating Systems also. Is it possible to restore corrupted Hard Drive’s and then save it in a desirable location? Yes, the Hard Disk Viewer wizard is able to recover corrupted Hard Drive, but it can’t save the files anywhere on the device. "In my entire life, I haven’t seen such a wonderful wizard that can resolve all the issues in a lighter mode. The software has marvelous credibility’s that can solve all the problems in a lighter mode. So, I recommend every person should use Hard Drive Data Viewer in case they need to get back their precious memories." "I really want to congratulate the developers who are behind the making of this Hard Drive Viewer Tool. The tool has amazing interface that mesmerizes masses. The software serves users with multiple facilities that can retrieve data from the internal/external storage thus getting you back your lost data." "I am so glad after using the product, it fulfilled all my expectations. When I think about the past circumstances, I was really upset over losing my valuable data from my Hard Drive. This thing haunted me like anything and I kept on searching for a valuable solution. 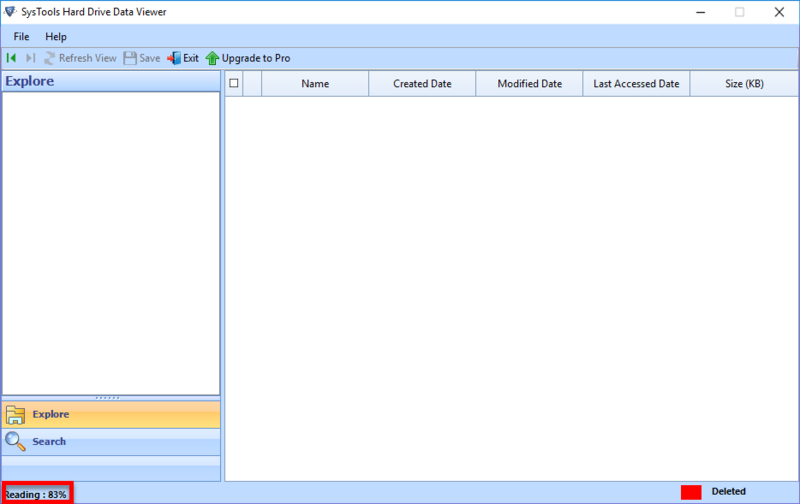 Then one day to my surprise, I came across the Hard Disk Viewer Wizard and it solved my purpose in just few minutes. Thanks to the brilliant team of developers." "I seriously want to recommend every user this application. The Hard Drive Data Viewer software is a complete rescue package. It provides numerous facilities to the users and thus resolves all the issues related to Hard Drive. Thanks once again team for amazing work."